Staff: Lucy Barna, Hannah Phelps Goodman, Steff Eiter, and Rick Crawford. Glen has a background in structural engineering, art and design. He is a skilled in such things as bridge design, and loves to tinker with how things are constructed, how parts move, and how he can generally just make cool stuff! Other staff members include Lucy Barna, Hannah-Phelps Goodman, Steff Eiter and Rick Crawford. Lucy, in addition to being a working artist in the areas of music and metalsmithing/jewelry design, has a background in small business management, human resources and the non-profit sector. Hannah Phelps-Goodman is a recent graduate of the Historic Preservation Program at CCC and has a strong background in art, design, historic preservation techniques, as well as direct experience working in a makerspace from the startup level (School of Visual Philosophy in San Jose, CA). Steff Eiter has a background in tech, web development, startup culture, and creative design/branding. He is currently a student in the Historic Preservation Program at CCC. Rick Crawford is a working artist in the area and has decades of experience in areas of woodworking and jewelry craft. What is the origin of your business… and why Astoria? Glen relocated to Astoria 2 years ago, he considered retirement, but soon realized he wasn’t ready! He wanted to keep working, just not in the same professional sector he had spent decades before. He was seeking a return to creativity and fun in the workplace- and saw a need for something like this in the community (like so many others). 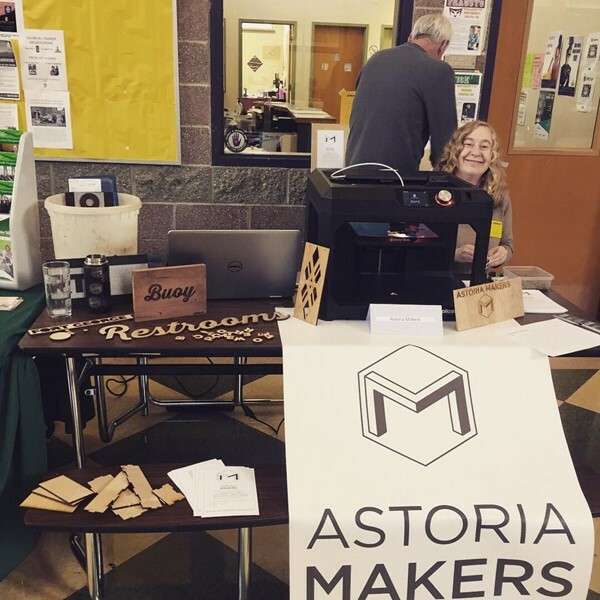 After hearing about this business concept happening in Astoria, new residents Lucy Barna and Steff Eiter reached out to Glen to discuss the possibility of getting involved and helping to grow the idea. The team has continued to grow slowly and ideas are always evolving. We are listening to the community and what they are asking for, what they will use, what would make them excited. We hope to bring something truly valuable to the community. We all chose Astoria for similar reasons- the creative pulse, the friendly people, the inherent beauty, the history, and the commitment to authenticity which is evident in so many ways and so many people. We hope to foster these same things through the business we are bringing into the community. What are you customers like? We want our business to be accessible to all folks- young, old, local, tourists, expert craftsmen and newbie hobbyists. Anyone who is curious about learning and using creativity in some form is welcomed! What makes you stand out... special products/services?? We believe we are bringing something innovative to the community and really excited about that! 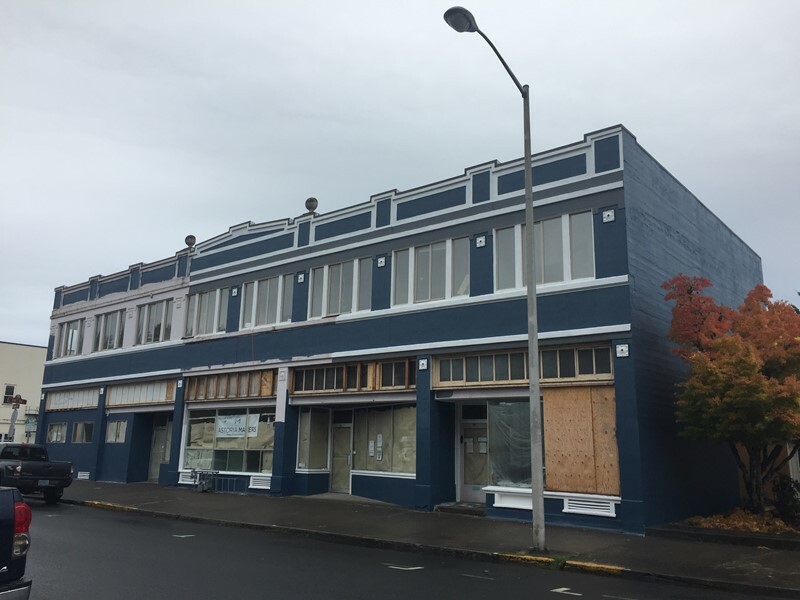 We are hoping to cultivate a sense of community in our co-working space that hasn’t been possible here before (even though Astoria does have awesome organizations, groups, and people doing creative things). Our space will encourage collaboration between artists, working folks, students, professionals, homeowners, retirees, you name it. Until now, most of these people work together only in their small niches- artists in art studios, professionals in offices, students in schools, etc. We hope to create a unique bridge for everyone and look forward to seeing the collaboration happen! We will also have many tools available in our space that folks otherwise would not have access to or experience with. For instance, many folks have a small wood shop setup in their basement or garage to help with their personal projects. But sometimes there’s a wish for a bigger, better tool- like a super large table saw, a panel saw, a large edge sander etc. A person might not reasonably purchase these large tools, both for space and price constraints, while it could be useful to have access to one. This is where coming to our space will be super useful! Also, one person may have experience in sewing, for instance, but have dreams about taking their designs to the next level. Maybe incorporating some leather and metalwork into their piece, or screen-printing their original design onto their product. Our space will allow for an endless variety of cross-trade work. Using our design programs and things like our laser cutter and 3D printer we can create prototypes for folks who want to test a new design or are considering larger production options. We will have many digital design programs available to help folks get their designs into the making stage. We will have a host of educational courses and workshops to inspire and grow your knowledge base of tools, techniques and project concepts. We will have space to host things outside of our direct offerings and to bring in new ideas to the space. Our staff consists of super helpful folks who want to see your idea come into form. And mostly, We look forward to helping all of our members have as much fun and as many inspired moments as we possibly can! Wouldn’t it be nice if we have a rooftop garden space, where folks could come learn about sustainable urban growing techniques? Wouldn’t it be nice if we could solar power all the buildings downtown?! Wouldn’t it be nice if we had a stronger, more diverse live-music scene?